The navies of Egypt and Saudi Arabia on Thursday wrapped up the Morgan 14 joint training exercises. The exercises, which lasted for several days, took place around the area of Egypt’s Red Sea naval base in the presence of a number of Arab and African observers. The exercises came within the framework of a plan for joint training of the Armed Forces of Egypt and Saudi Arabia to measure the skills and capabilities of troops in implementing and managing tasks in joint combat. The training aims at raising the combat readiness and exchange experience in planning, implementing and controlling different units in the operations theater. TRIPOLI, Lebanon: Three Alawite men were shot and wounded in broad daylight in the Zaharieh neighborhood of Tripoli Thursday, the latest in a string of sectarian attacks targeting the minority group in the northern city. A security source identified one of the shooting victims as Said al-Ali. The attack was claimed by the “Military Committee to Avenge the Victims of the Tripoli Bombings,” a group co-founded by Salafist Sheikh Salem al-Rafei, a critic of the Syrian regime and Lebanon’s Arab Democratic Party. The assault on the three men came as tensions were already on the rise after a soldier was wounded by gunfire while taking down Syrian flags in the neighborhood of Jabal Mohsen. It was not clear who was responsible for shooting the soldier in the Alawite-dominated neighborhood. A separate Army unit had also been removing Syrian opposition flags in the mainly Sunni neighborhood of Bab al-Tabbaneh at the time of the incident. The flags of the Syrian regime and Hezbollah were raised hours after the shooting incident in Zaharieh. Bab al-Tabbaneh residents followed suit by raising opposition flags and pictures of Salafist Sheikh Ahmad Assir. The Army deployed heavily in parts of the city, particularly along Syria Street, which separates the two areas. A woman was wounded by sporadic sniper fire, and a hand grenade was tossed in the Baal al-Darwish area, which forced many shop owners on Syria Street to close their businesses for the day, fearing renewed clashes. Jabal Mohsen and Bab al-Tabbaneh have intermittently engaged in battles since the uprising in Syria began. A soldier named Alaa Al-Rifai was also wounded after a gunfire exchange between Jabal Mohsen and Bab al-Tabbaneh and was transported to the Notre Dame Hospital in Zghorta. Hours later, several gunmen erected a checkpoint in the area of Al-Baqqar to prevent Alawites from entering the neighborhood. Soldiers intervened in to arrest the men and dismantle the checkpoint. A number of young men also tried to erect a checkpoint at Al-Beddawi highway to prevent Alawites from crossing. A grenade was thrown later in Al-Baqqar, wounding a man and woman. Rumors spread throughout the city Wednesday that attacks against Alawites would continue until Jabal Mohsen handed over two men with suspected links to the Aug. 23 bombings, including Arab Democratic Party head Ali Eid. Unidentified assailants Wednesday fired on three Alawite men in separate instances, prompting their coreligionists in the northern city to circulate warnings to their fellow Alawites not to stray from their neighborhoods. The car bombings outside two mosques in Tripoli killed at least 47 people and wounded hundreds. Most of the seven suspects in the case have links to the ADP and Syrian intelligence. Ali Eid was charged with aiding the smuggling of a suspect across the border into Syria. He has failed to appear in court for questioning over his role. Military Prosecutor Saqr Saqr rejected earlier this month a request to drop charges and revoke a search warrant against Eid. 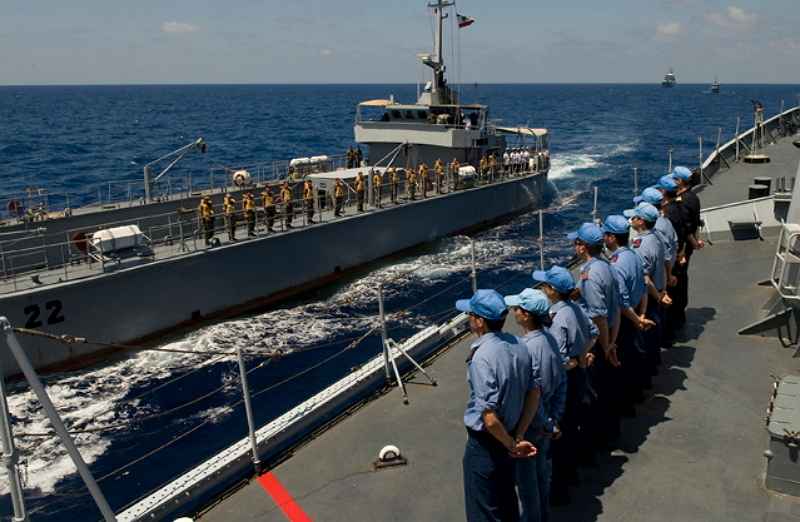 The Lebanese and UNIFIL navies carried out a training exercise off the Lebanese coast on Monday during which UNIFIL Commander General Claudio Graziano said that the drills are to strengthen cooperation and coordination between naval and ground forces. The Kuwaiti newspaper Al-Anbaa reported on Wednesday that France and Spain are coordinating to replace Italian UNIFIL Commander General Claudio Graziano with a French or Spanish general. A source told the paper that Israel supports the decision, since it has never been on good terms with General Graziano and had always accused him of not shouldering his responsibilities. Why Iran Needs a Shi’ite Bomb? Iran desperately needs a Shi’ite atomic bomb and sooner or later it will build one. Whether, the comity of nations approves or not, the time when Iran acquires nuclear capability is near.Why? First, Iran in order to safeguard its national and international interests needs the nuclear deterrence. It is perhaps the only way Iran can ensure its sovereign existence in a region dominated by Sunni powers. The hostile stance of Saudi Arabia and the other Middle Eastern states as far as Iran is concerned was clear as when they showed their unhappiness at the deal recently signed between it and the P 5+1 powers at Geneva. Second, Iran needs to have nuclear capability because its arch nemesis Israel possesses a nuclear bomb. Iran needs one as well because of the hawkish stance and hegemonic designs of Israel as far as the Middle East is concerned. Third, it is an old maxim that necessity is the mother of invention, this fits the present situation Iran finds itself in. If Iran does not acquire the much-needed nuclear capability in the form of a Shi’ite atomic device, its existence as a free state among the comity of nations is at stake. 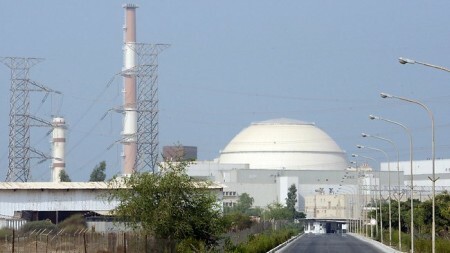 As far as Iran and its nuclear program is not a luxury but a dire necessity. Fourth, the stance adopted by Iran is similar to that adopted by other nations that were on the verge of becoming nuclear powers. On the one hand these states followed the instructions or rather dictates of United Nations , but in reality, on the other hand continued to develop their nuclear prowess. This is the precedent, as far as “rogue” nations are concerned. Pakistan built its bomb this way so did North Korea. On the one hand these nations complied or at least seemed to comply with the wishes of the states that wanted them not to develop their atomic arsenal and on the other hand these states secretly kept on enriching uranium and make centrifuges, so that one fateful day they successfully tested their bomb. Fifth, Iran needs a Shi’ite bomb in order to maintain the balance of power which at the present moment is tilted heavily in favor of Israel and the Sunni states in the region. It is paradoxical but it is true and a point that needs serious mention here is that all the nations that don’t want Iran to have nuclear weapons are themselves nuclear powers, so they really don’t possess the moral high ground to stop Iran from becoming a nuclear state. When all the above stated reasons are taken into account, it becomes clear why Iran is so desperate to possess nuclear capability. The odds against Iran are stacked up so high that Iran is left with little or even no other option but to go on enhancing its nuclear capabilities. History will record whether the west and America were successful in stopping Iran from pursuing its nefarious dream but as far as Iran is concerned it essentially needs a Shi’ite atomic bomb in the present strategic situation. “Addressing the House of Peoples’ Representatives on Thursday, Prime Minister Hailemariam Desalegn said that housemaids destined to Saudi Arabia will not go anymore following the harsh conditions they face in the Middle Eastern nation. Both the mainstream and social media were engaged in reporting the life-threatening hostile working conditions in Middle Eastern nations. Ethiopians are reportedly being found in severe and deadly conditions, with some thrown out of windows (defenestrated). [Nothing is ever the fault of the Saudis, not even when the royals have to import an entire class of laborers, to do the menial tasks which are “beneath” Saudi dignity. Saudis don’t brutalize and torture their guest workers, or treat them as slaves…. 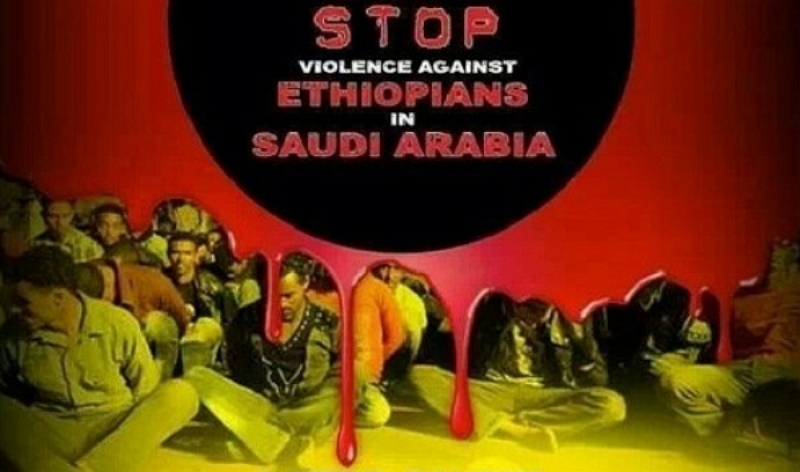 (SEE: Ethiopian Hell In Saudi Arabia). 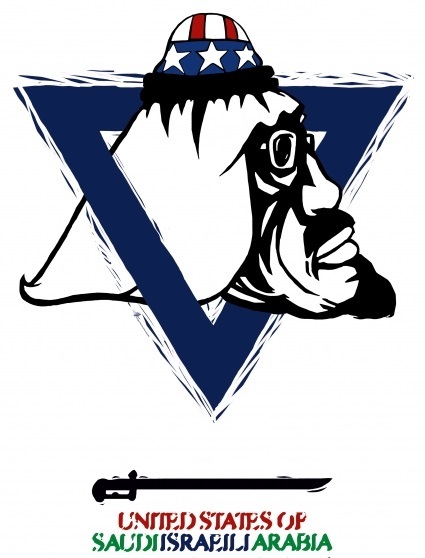 [ALL SAUDI PROBLEMS ARE CAUSED BY IRAN…. If Ethiopian maids or nannies are blamed because a couple of Saudi babies (whose own mothers would not take care of them) died from SID, “sudden infant death” syndrome, then it is oh so clear to the sick, paranoid, camel-riding Saudi mind that thousands of Ethiopian women are agents of Iran. Are we facing the unknown at the hands of well-trained gangs? Are we dealing with the problem of illegal expatriates who have failed to rectify their residential status or with something more sinister? The huge number of undocumented expatriates who have infiltrated our country and committed crimes makes us question their intentions. Even though many of these criminals are Ethiopians, there is no excuse for the Ethiopian ambassador, his government or media to distort the facts to benefit from this crisis. By his statements to the local media, the ambassador is destroying the cordial relationship between our two peoples with a view of creating a political crisis between two friendly countries. The ambassador is justifying the killing of Saudi children at the hands of Ethiopian housemaids by saying that it is the children themselves who are to blame because of their sick minds. I will skip the reason why such a large number of illegal Ethiopians have entered our country and try to answer the question: why are there so many crimes? How has the peaceful Ethiopian, as the ambassador has said, been turned into a wild wolf? This hostile attitude by Ethiopians makes us certain that these people are implementing a criminal plot against our country. Many Saudis are convinced of this fact. 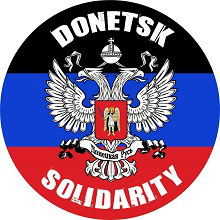 The entry of thousands of people of the same nationality into our country and their distribution among various regions is further confirmation of a plot to create disturbances in our country by groups from outside. A video clip showing Ethiopians in a military parade has exacerbated the situation and has convinced many Saudis that Ethiopians want to terrorize them. It is possible that these Ethiopians are being guided by secret hands which the ambassador knows nothing about. The war against us is being waged by some international public relations companies and intelligence organizations. Although this is not something new which we are discovering for the first time, we must deal with it intelligently and through unconventional media and communication methods. All countries deal sternly with illegal migration. We all remember how the former French president Nicolas Sarkozi dealt with a terrorist act in a Parisian suburb, and France is considered to be a country which has great respect for human rights. Britain has also dealt sternly with various types of aggression. The British Prime Minister David Cameron has said: “Do not talk to me about human rights when the matter concerns our national security”. 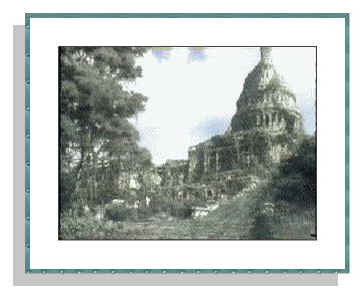 The Kingdom did not repeat what Cameron said nor did it use excessive force against the violators. It has met them with smiling faces and accommodated them in suitable places. It has not tortured any of them including the criminals. We should immediately deport violators if we want to preserve the dignity of our country. We should use sheer power to face what can only be called “manpower terrorism”. However, the group is now an orphan, despite being the official arm of al-Qaeda.